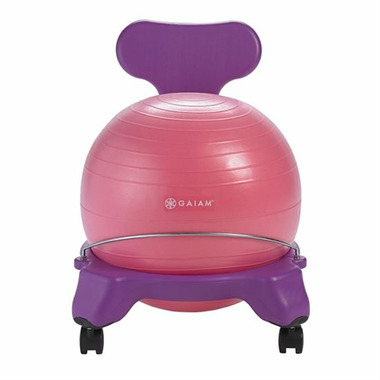 The Gaiam Classic Balance Ball is now available for kids! 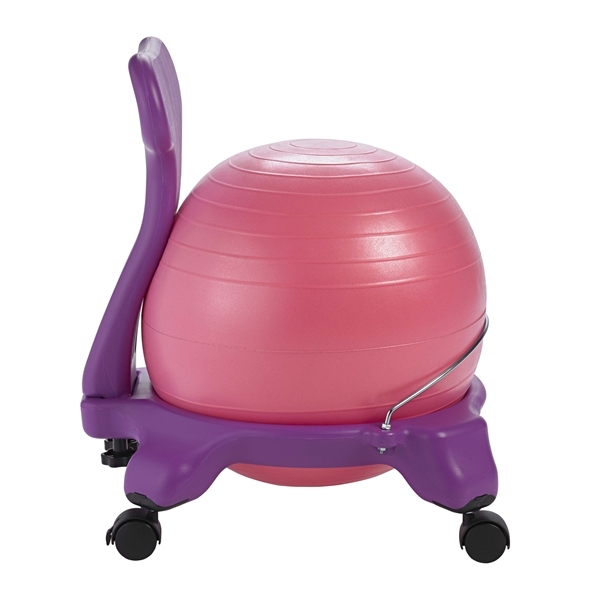 Encourage your child to learn and practice healthy posture with this fun alternative to a chair. Recommended for ages 5-7 or children 42”-51” tall. Weight limit 175lbs. 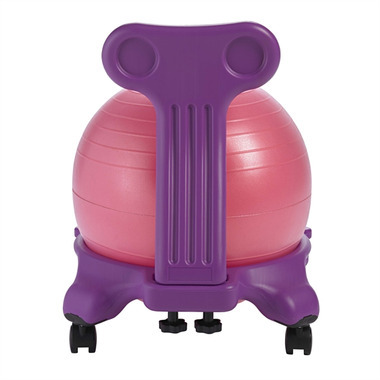 Height of Inflated Ball in Frame: 20"
Height of the Back of Assembled Chair: 23"